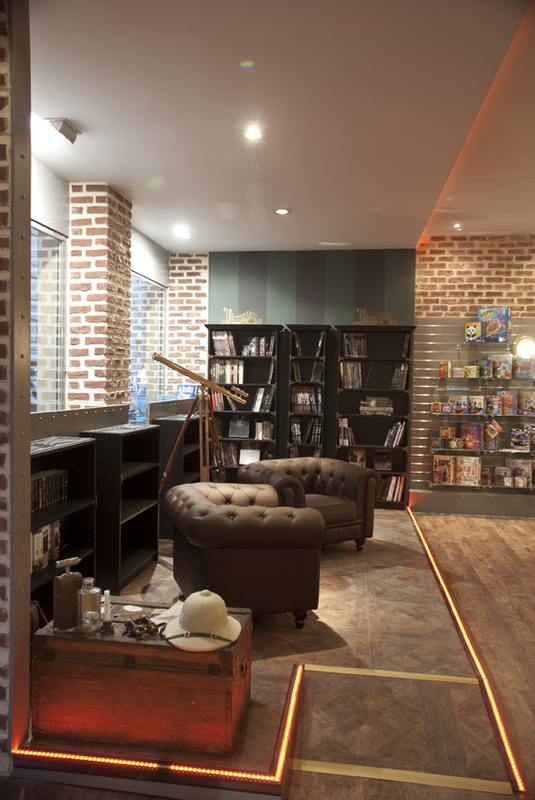 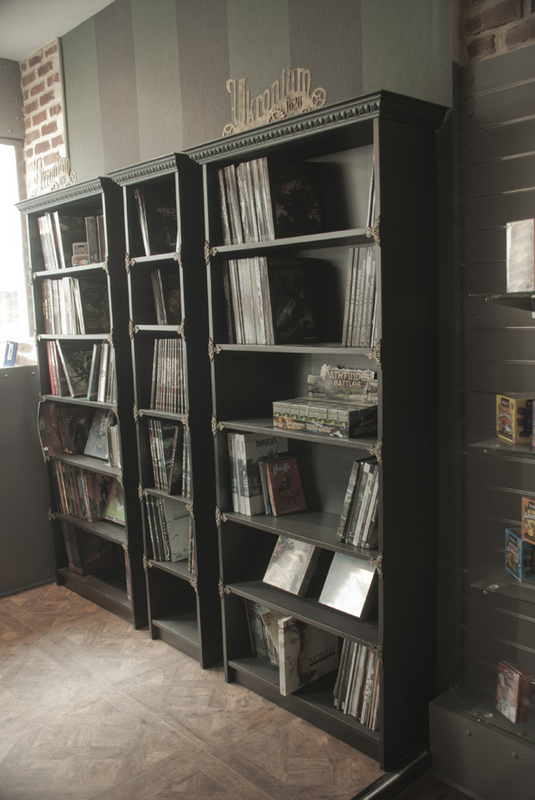 Decorum created for the game store Ukronium 1828 in Lyon. 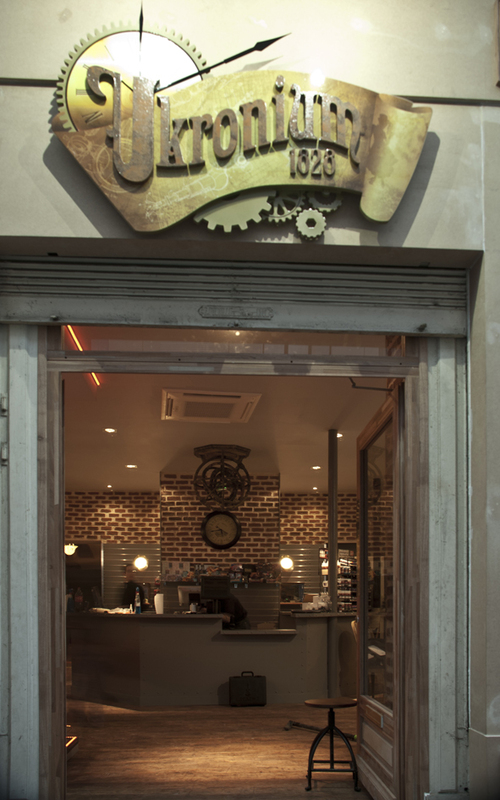 That Steampunk Decorum established in the store by Petites-Curiosites.com and Cré'à'Vapeur reinforces the atmosphere of the place. 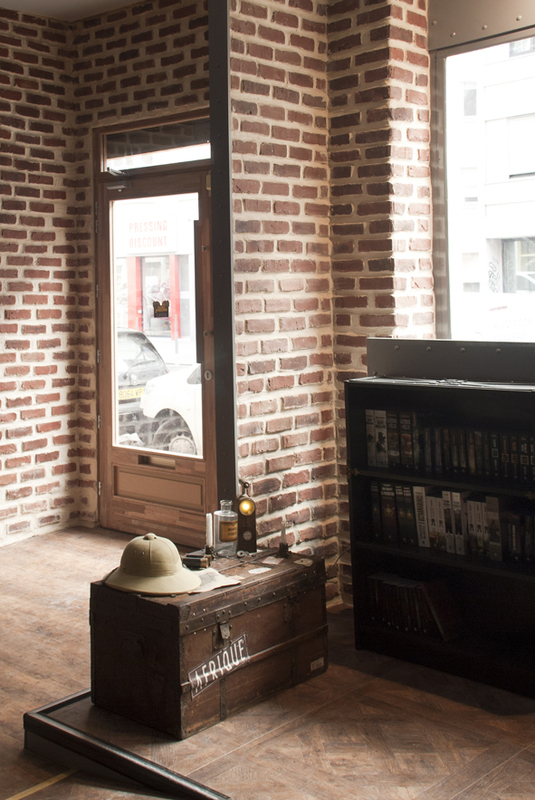 We have customized shelves in Victorian style by adding a pediment, brackets and the logo of the store. 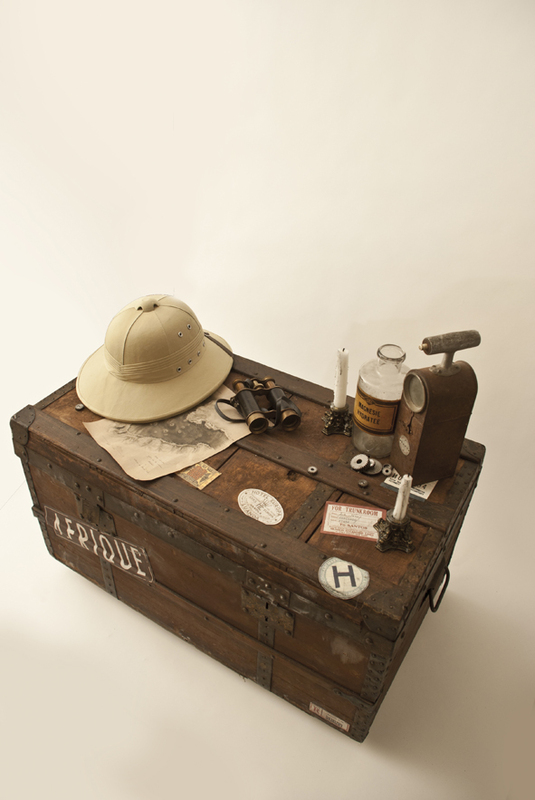 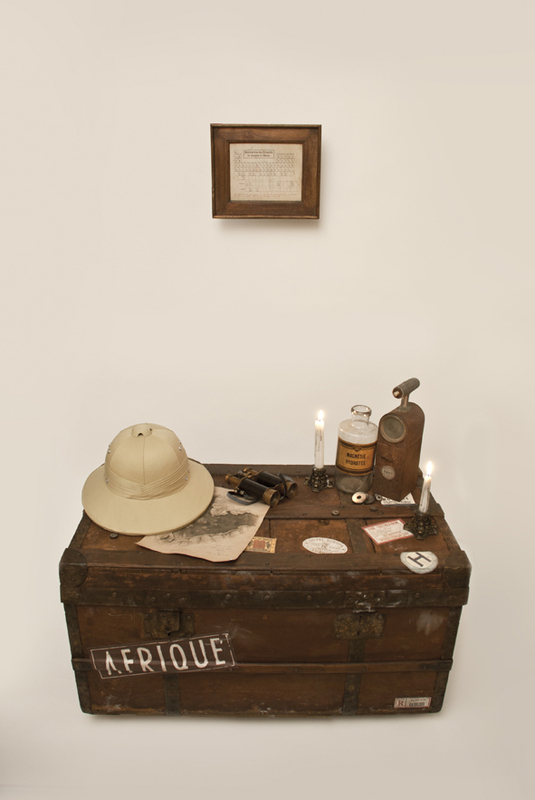 We also assembled the travel trunk of Jules Verne by placing fixed object on it. 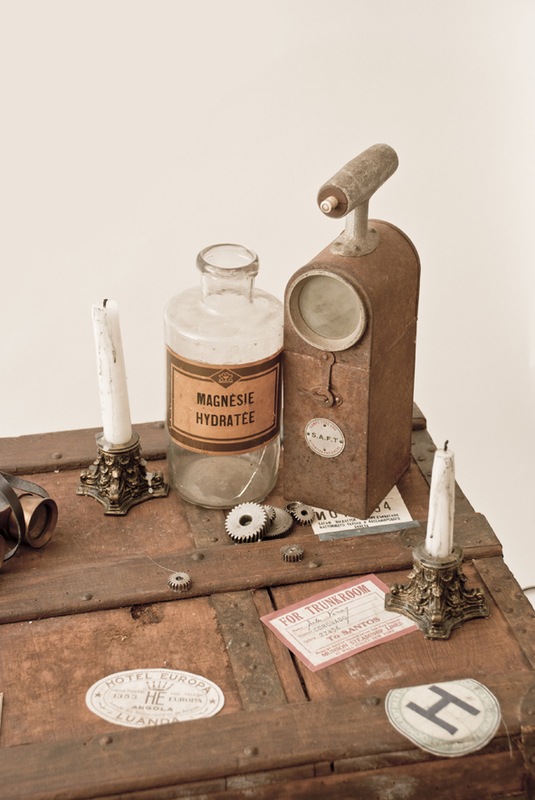 The hurricane lamp of Mr. Vernes sends messages in Morse code referring to the universe of Steampunk magazine. 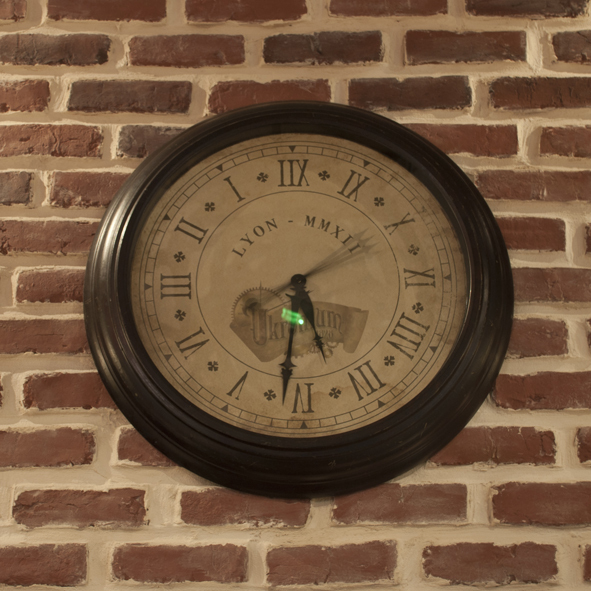 Other accessories were made ​​for this place, a clock that turns backwards, some brass plated lamps and other objects under glass.